Nose surgery is not only meant to improve the appearance of one’s nose, it can also help to improve breathing. In many cases, Rhinoplasty can improve both the aesthetics and function of your nose—especially since a misshapen nose can imply there are underlying functional abnormalities. What are Symptoms of Nasal Airway Obstruction? How is a Functional Rhinoplasty Performed? This procedure is used to straighten a deviated septum. Surgery will open blocked air passages by straightening the septal deviation or spur. The goal of this procedure is to reduce enlarged turbinates (mucous covered shelves of bone in the nasal cavity). When turbinates become enlarged, they can obstruct breathing passages. Dr. Chan will remove just enough tissue to remove airway disturbance. The nasal valve area can be narrow, or prone to collapse due to weak or unsupported cartilage. Widening the nasal valve area and supporting the collapsed cartilage can improve the nasal airway. How Much Does Functional Rhinoplasty Cost? Contact your insurance provider to determine if functional nose surgery can be covered under your insurance plan. Dr. Chan is happy to discuss your pricing and financing options at your initial consultation. 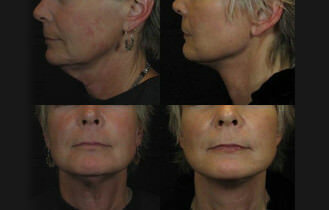 Click Here to See Our Rhinoplasty Before and After Photos!